These may not be the newest releases; in fact, most of them have been around for many years. But these are the ones I have treasured most over the years for various reasons, which I’ll explain below. 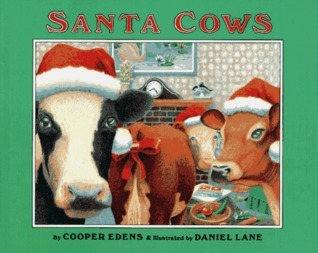 Be sure to share your favorite holiday picture books in the comments, too! 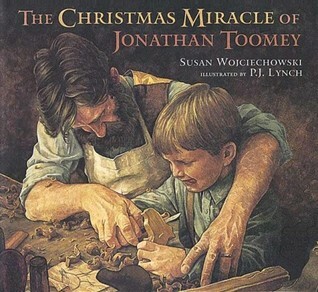 This is still one of my all-time favorites, with a story and set of illustrations that are equally beautiful. This book made me laugh as a child, and it makes me laugh still. The story of one neighbor’s mission to have the most over-the-top Christmas yard display hit pretty close to home as a kid (we were big fans of the Griswold method of decorating). This year, the Merriweather family is really going to celebrate Christmas.Instead of simply trimming their tree and hanging a holly on the door, the Merriweathers decide to decorate their whole house. And decorate they do, with colored lights, candy canes, giant snowmen, and a fifty-foot Santa…and soon the family’s Christmas extravaganza is the talk of the town! Award-winning artist David Shannon presents a visual holiday feast-and reminds us that the real joys of Christmas are the people we love. This book is so bizarre and unexpected, but it’s also really sweet and charming. It was a favorite of mine and my brother growing up, and I still cherish it now for its irreverence. On a very unusual Christmas Eve, the sounds of mooing, the sight of a sky full of udders and the clatter of roof-top dancing all herald warmth and good cheer–and baseball, too. This tale has a madcap lunacy all its own. Yes, it’s really that Dean Koontz. And you’d be correct in assuming that the master of adult suspense would dream up something sinister for a children’s picture book — but it is still appropriate for children, with plenty of humor injected throughout this quest to save Santa — and Christmas! Charlotte and Emily are determined to save Santa from his mischievous twin — Bob Claus — who has not only stolen Santa’s sleigh and stuffed his toy bag full of mud pies, cat poop, and broccoli, but has also threatened to turn Donner, Blitzen, and the others into reindeer soup! How the brave but foolhardy sisters fly to the North Pole and rescue Santa from his “deeply troubled” twin is an utterly charming and unforgettable story sure to add sparkle to your holiday season. Read it aloud, preferably to someone you love to hear laugh! 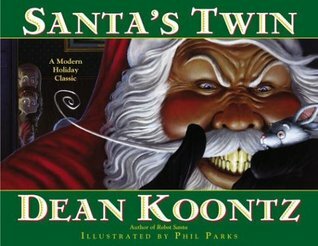 This perennial yuletide favorite was written by bestselling novelist Dean Koontz in 1996 at the request of his fans and has been pleasing readers every holiday season since. This is the book that started my collection, and to this day, it never fails to bring a tear to my eye. I gushed and fangirled big time when I finally met Van Allsburg a few years ago at a book signing, and he marveled over the fact that I had a first edition of his most beloved book. This one was a staple in my house growing up. The bell still rings for me. This edition was originally published by Grosset & Dunlap in 1961 — and I still have my mom’s copy! (Though it is in very poor condition, and I now also own a newer version that is not falling apart.) 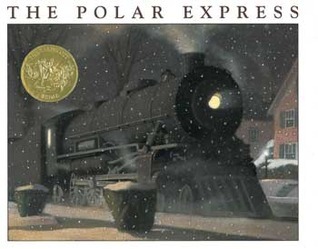 Moore’s story is a Christmas staple, but the illustrations in this version are really what make it so special to me. 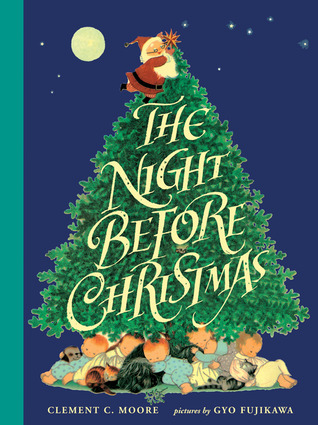 The Night Before Christmas is the most enduring and memorable of all holiday poems. Celebrated artist Gyo Fujikawa brings new levels of excitement and joy to the verse, concocting a variety of goodies to feed sugarplum visions. From the first lovable image of a pink-eared mouse to the final spread of Papa waving goodbye as Santa and his reindeer fly away into the sky, Fujikawa provides pure enchantment. Kittens and dogs curl up everywhere in the old-fashioned home; stockings hang by the fireplace; and a group of irresistibly adorable children nestle next to cakes, cookies, and candy canes on a bed of soft dreamy clouds. Young readers and adults alike will be mesmerized. 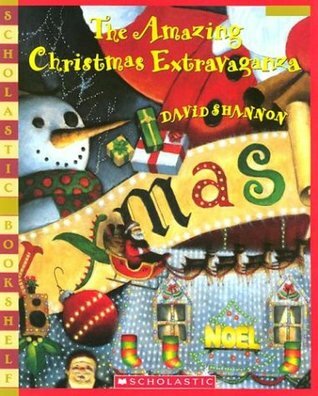 For the comments: What are your all-time favorite children’s Christmas books?